Since 1990, ACTIVE INDUSTRIES has been manufacturing PVC insulated Building Wires & Power Control Cables confirming to ISI : 694/1990 & ISI:1554(Part-1) 1988 & Telephone Cables confirming to I.T.D Specification under the Registered Brand name of ATC & we assure you of Complete Safety. The ISI approval means protection against Electrical Shocks, Short Circuit and Fires. 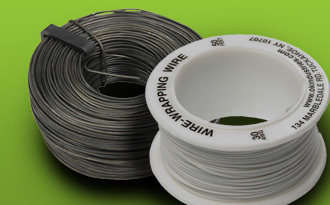 Using state of art extrusion lines helping save energy and is insulated with a special grade PVC compound confirming to IS:5831/1984, offering high insulation resistance & is ideal for conduit wiring, Each meter of wire goes through high voltage spark testing machine to make sure that there is no weak spot in the insulation. Telecom Switch Board, Jumper wire. The Quality Policy of Active Industries is to ensure high level of customer satisfaction through offering products and services meeting customer's standard of quality and performance at competitive prices. Their inherent toughness and flexibilities make them ideal and more comfortable for use over a wide range of application.